More by Mariah McKenzie may well be more than what readers expect or are prepared to handle. I certainly wasn’t ready for it, but, along the way, I learned a great deal I didn’t previously know about early childhood trauma. It’s no secret that children who are sexually abused suffer long term psychological damage. Therapy has been very helpful for many when it comes to dealing with the mental breakdowns that sometimes last a lifetime. But while studies and first hand reports show that childhood sexual abuse can also interfere in future adult sexual relationships, the full extent of that interference, the hows and whys, may be unknown to many readers. This is where the value of More by Mariah McKenzie lies. More tells readers so much more about these other elements. It gets to the roots of the physical and sexual problems so many experience. Most importantly, More offers those who have an open mind, and are receptive to trying out different ways of healing, a means to do so. This healing is on a much deeper level, both physically and spiritually. 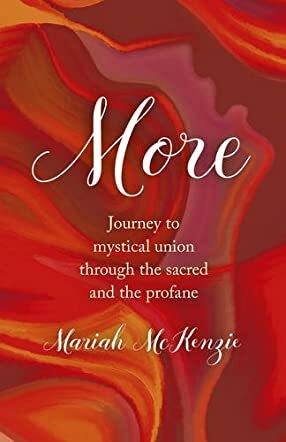 Through combinations of Meditation, Ascension, and M.O.R.E (multi-orgasmic response), just to name a few approaches Mariah and her husband Jeff studied, they were able to repair sexual and relationship problems in their marriage to a degree neither could have dreamed. What they learned along the way was how much these issues were tied to early childhood sexual abuse. That was eye-opening. Mariah McKenzie is very honest in her delivery throughout More. She holds nothing back. Sexual detail is specific, but not for titillation purposes: it’s absolutely necessary to enhance an understanding of the events and people in More. McKenzie invites readers deep inside her marriage and the lives of her family. As a memoir, it’s a good read. But this memoir also teaches, explains, and enlightens those looking for answers to problematic issues in their own married lives. More offers possible solutions most wouldn’t be aware of. To read More is to learn so much more!